Facelifts are common procedures today, with many more people considering the benefits of such a surgery. 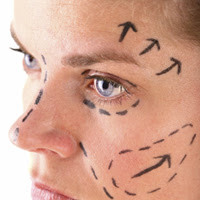 However, misconceptions about facelift surgery are still widespread. These are a few of the most common myths about facelifts, along with the reality of each situation. # 1: Facelifts are just for women/models/celebrities. Many people assume that facelifts are only intended for women, or that only celebrities or models get them. Even if that statement may have been true once upon a time, it no longer reflects reality. Both men and women of a wide range of ages, careers and backgrounds now choose to have facelifts performed to create a more youthful appearance. According to the American Society for Aesthetic Plastic Surgery, the number of cosmetic procedures performed on men has increased by over 88 percent since 1997. In fact, the most common plastic surgery performed on men in recent years is a facelift. It is important to note, however, that a man’s facelift surgery will likely have a longer recovery period. This is because a man’s facial skin tends to be much thicker than a woman’s. In addition, most men have more blood vessels in their face, which also leads to a longer recovery period. # 2: I can get an instant facelift. # 3: A facelift will result in a wide-mouthed “frog” or “wind tunnel” look. It is impossible to pull the facial skin so tight that the mouth becomes distorted. However, this can occasionally be a consequence of repeated facelifts. During the first facelift the skin has such elasticity that it is not possible to create the wide-mouthed “frog” or “wind tunnel” look. Patients will not have to worry about this effect unless they have a second or third facelift years later. However, with a great plastic surgeon and a long term plan, this effect can be avoided. # 4: A facelift requires an incision completely around the head or over the forehead. The typical facelift procedure begins with an incision that starts in front of or just above the ear, then runs down behind the ear into the hairline. A facelift will only address the lower one-third of the face along with the upper two-thirds of the neck. If there are problems that need to be addressed in the forehead, eyelids or cheeks, other procedures can be performed as well. However, these would be in addition to the “classic” facelift procedure. # 5: A facelift only lasts around 10 years. Although the aging process will have an effect, the changes achieved by the facelift will last forever. A good way to understand this is to consider a set of identical twins. One had a facelift at age 50, and now looks 40; the other twin did not. Ten years later, the twin sisters are now age 60. The sister with the facelift will look 50, while the twin without a facelift will look 60. So as shown by the example, a facelift does not actually wear out; people simply continue to age and change. Learn how to erase the lines of time-on any budget- in just twenty minutes a day with Your Best Face Now: Look Younger in 20 Days with the Do-It-Yourself Acupressure Facelift by Shellie Goldstein. Guest post contributed by Tamera Stevens on behalf of Tummy Tuck Denver. Tamera is a freelance writer with extensive experience in microbiology. Her articles appear on various health blogs.